This little black Ostheimer cat is the perfect companion for the Ostherimer witch and also makes a purrfect wooden toy on it's own. The cat is shaped to to allow it to balance on the witches back and peer over her head using it's tail pointing upwards for balance. 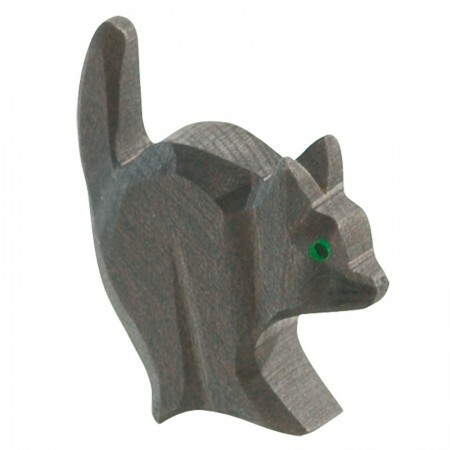 This Ostheimer cat is stained black and has emerald coloured eyes. This Waldorf-style cat is perfect for story sacks and will make a great addition to any play set. This figure is 5.6cm high.